In this March 5, 1998 photo, Sheriff's Capt. Mike Plumer, in charge of investigating the murder of the Rev. Alfred Kunz, leaves the crime scene to meet with officials at a Village Hall command post nearby. While area police have been able to crack a string of cold cases in recent years, more than 11 years after the Rev. Alfred Kunz was found with his throat cut at St. Michael Catholic Church in Dane, detectives are at a loss. They think they know who did it, but they can't prove it. "They're tiring," says Steve Gilmore, lieutenant of detectives at the Dane County Sheriff's Office, of murder cases that drag on for years. "But if you solve them it's all worth it." Of the Kunz case, he says, "This one was tiring and it just ends up frustrating. I hate to say it, but it's one I think will never come to fruition." It's one of at least 17 unsolved murders dating from 1968 that still have investigators in Dane County scratching their heads. Most are likely to dead-end. But occasionally there's a break. Last year, prosecutors were able to elicit a confession from 70-year-old Eugene Zapata in the 1976 death of his wife, Jeanette, in Madison. Just last week state and federal authorities announced charges against a 57-year-old man serving time at Waupun Correctional Institution for the 1973 murder of an Arizona woman. Floyd Zamastil, currently serving time for another murder, allegedly told a fellow inmate about that crime and others he had committed. The Wisconsin Department of Justice, which last year won a $500,000 federal grant to be used for cold cases, helped the FBI investigate the case. Attorney General J.B. Van Hollen said last year that an earlier federal grant helped crack four cold cases and generated dozens of leads in others. Some of the federal funds have been used to increase the capabilities of the state Crime Lab for DNA testing, Van Hollen said. Breakthroughs in DNA technology recently have led to murder charges against Curtis Forbes of Randolph in the 1980 slaying of 18-year-old Marilyn McIntyre in Columbia County. 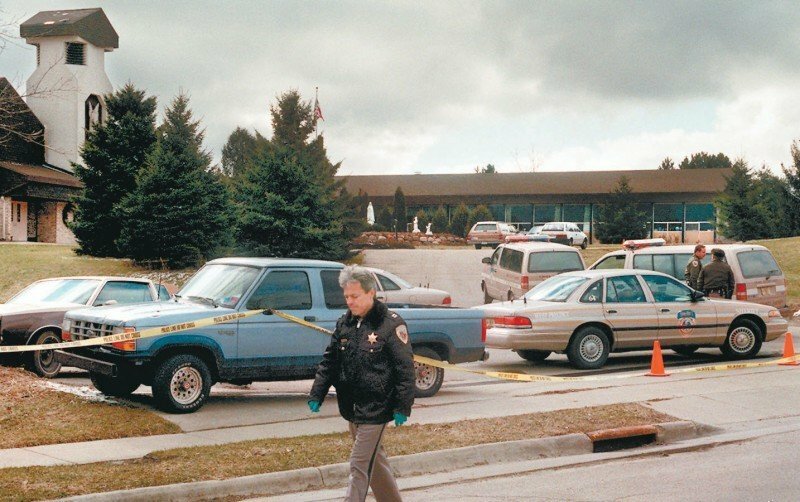 The same technology has tied 76-year-old Edward Edwards to the 1980 deaths of two high school sweethearts from Jefferson County, which in turn has led to Edwards' suspected involvement in the murders of another high school couple in Akron, Ohio, in 1979, and the 1996 shotgun slaying of a man who once lived with Edwards at his family's rural Ohio home. Police here have also looked into the possibility that Edwards could be connected to the 1980 death of 24-year-old Susan LeMahieu, whose body was found in the University of Wisconsin Arboretum four months after she went missing. But so far, no dice. "I don't think it's going to pan out for us," Gilmore says. But investigators never know where the next lead might come from. Just last week police in Anadarko, Okla., contacted the Dane County Sheriff's Office to talk about the Kunz case after the bizarre killing of a 61-year-old woman pastor, whose body was left in a "staged" position, according to police there. But there was no apparent connection to the Kunz case. The unsolved murder of Kunz is among several that have frustrated police, families and friends over the past four decades. Many were investigated by the county's since-disbanded Major Crime Unit, a cooperative venture between the Sheriff's Office, the Madison Police Department and other jurisdictions. The oldest case, now in the hands of the UW Police, is the murder of Christine Rothschild, who was strangled on the UW campus in 1968. Her body was found behind some bushes near Sterling Hall, her gloves stuffed down her throat. Last year, a friend organized a ceremony on the campus to mark the 40th anniversary of the murder. Rothschild's was one of seven unsolved area murders of young women between 1968 and 1982 that investigators theorized were connected, as all the victims were in their late teens or early 20s, similar in build and with similar hair styles. The last was Donna Mraz, a 23-year-old UW student who was stabbed to death near Camp Randall Stadium while on her way home from work at a State Street restaurant. Another woman, Barbara Nelson, disappeared from the Albion convenience store where she worked and was found shot to death five days later in a cornfield in Walworth County. Madison police are working actively to solve several murders that are not yet considered "cold," including those of two young women. Kelly Nolan, 22, disappeared in June 23, 2007, after drinking with friends in downtown Madison. Her body was discovered in a wooded area in the town of Dunn 16 days later. And Brittany Zimmermann, a UW student, was stabbed to death in her downtown apartment on April 2, 2008. Like most cold cases, the Kunz case is likely to stay cold. "It's one thing to make an arrest, but why do it if the prosecution is never going to be able to prove it beyond a reasonable doubt?" Gilmore says. "That's the threshold. I don't think we'll ever get over the hurdle on that one." Detectives have long suspected a man who was acquainted with Kunz at St. Michael Church, which Kunz led for 32 years, of killing the priest. His body was found in the church's parochial school. The Capital Times is not naming the suspect because he has not been arrested or charged. The suspect left town shortly after the murder. "We still know where he's at and what he's up to," Gilmore says. "If indeed he had committed this one, he's stayed pretty clean. We certainly don't think there's any threat to the public out there." Gilmore says the case will likely be closed when the detective now heading the investigation, Kevin Hughes, retires in the next several years. But Gilmore stresses that officials still welcome any new leads, and a closed case is largely a matter of semantics. If new evidence comes forth, a closed case is reopened. "They're never really closed," he says. If the case goes into inactive mode, it will be the end of a frustrating chapter in the annals of area crime. The Kunz murder investigation has likely been the most expensive and time-consuming in the history of the Sheriff's Office, with some of the evidence "double-checked and even triple-checked by different laboratories," including the state Crime Lab, the FBI crime laboratory and independent labs, Gilmore says. "The investigation is obviously the most voluminous," he says. "I don't know how many 3-inch notebooks -- I think there are over 100 right now. It's an incredible amount of paperwork." Kunz's murder shocked the Catholic community, and rumors abounded as to why he was killed. He was a controversial figure within the church who had a regional following of adherents who traveled to Dane for his Latin masses. He was also known to perform exorcisms. Investigators focused for a time on the possibility that his uncompromising conservative views could have sparked the attack. Two years after the murder, then-Sheriff Gary Hamblin outraged some parishioners by suggesting that Kunz had a history of having intimate relationships with women, which could have led to a murder by a jealous husband or boyfriend. Gilmore would not say what investigators settled on as the most likely motive. The Sheriff's Office continues to maintain evidence in the case. "We do purge our property system, but we have red flags on unsolved homicides because there's not a statue of limitations on that," he says. "So we'll keep that stuff forever. But some of the evidence degrades." Other leads have dried up as time takes its toll on potential witnesses and other possible suspects. "Unfortunately, some of those people are actually dead," Gilmore says. Christine Rothschild, 18. She was stabbed and strangled on UW campus in 1968. Charles Mumford, 35. His bullet-riddled body was found on South Butler Street in 1969. Thomas Speer, 42. A physician from Merrillville, Ind., Speer was in Madison to attend a conference in 1971 and was gunned down in a drive-by shooting outside his south side motel. Mark Justl, 28. His body was found strangled at Joyce Funeral Home, where he was a resident employee, in 1972. Debra Bennett, 20. Her body had been set on fire and left in a ditch a few miles from Cross Plains in 1976. Julie Ann Hall, 18. After being bludgeoned to death in 1978, her body was found buried near Waunakee. Julie Speerschneider, 20. Her body, then a skeleton, was found in 1981 in the town of Dunn near the Yahara River. She disappeared in 1979 after looking to hitch a ride from an east side club. Susan LeMahieu, 24. Her body was found in the UW Arboretum in 1980. She had been missing for four months. Shirley Stewart, 17. Her body was found in a wooded area in the town of Westport in July 1981. She had been missing since January 1980. Donna Mraz, 19. She was stabbed to death near Camp Randall Stadium in 1982 while on her way home from her waitress job at a State Street restaurant. Alfred Kunz, 67. 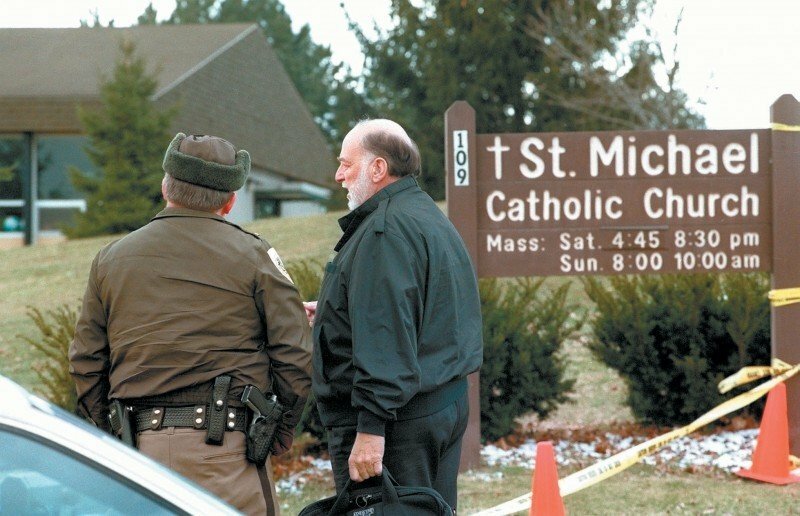 The conservative Catholic priest was found with his throat slit at St. Michael Church in Dane in 1998. Gregory Bray, 26. He was found shot to death at his southwest side Madison duplex in October 2003. Amos Mortier, 27. The suspected marijuana dealer went missing from his rural Fitchburg home in November 2004 and was never seen again. Kelly Nolan, 22. She disappeared in June 2007 after partying with friends in downtown Madison. Her body was found 16 days later in a wooded area in the town of Dunn. George Thomas, 65. Authorities say Thomas died from multiple forms of trauma (but would not specify the exact cause of death) at the King's Inn motel on Aug. 22, 2007. Larry Gardner, 56. He was shot in a break-in at an apartment on Cypress Way on Nov. 21, 2007. Brittany Zimmermann, 21. She was stabbed to death in her West Doty Street apartment on April 2, 2008. The search for the killer of Father Alfred Kunz goes on. The two-week trial is set to begin Nov. 8 for Curtis Forbes, 52, of Randolph, who faces life in prison if he is convicted on a charge of first-degree murder in the death of Marilyn McIntyre. It took six hours to choose the panel of 14. On what would have been George Thomas' 69th birthday, the Madison Police Department is asking the public for information regarding his murder 3 1/2 years ago. Mraz was killed outside of what is now Gate 4, on the north end of the stadium, just after midnight on July 2, 1982. The Wisconsin Supreme Court will not hear a request to review an Appeals Court decision denying a new trial for the Randolph man convicted of murdering Marilyn McIntyre in 1980.